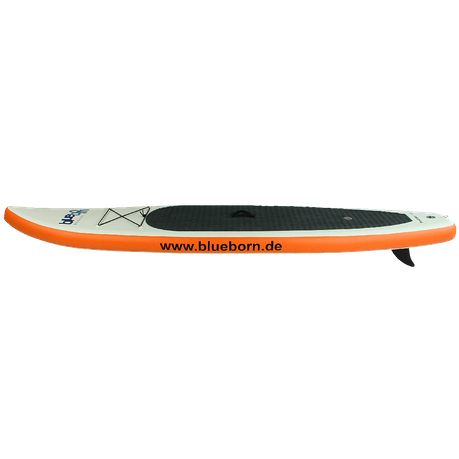 Buy Blueborn Pro Glider 11 double chamber SUP - Stand-up paddle board with pump and packsack from Blueborn at Camping Outdoor online. 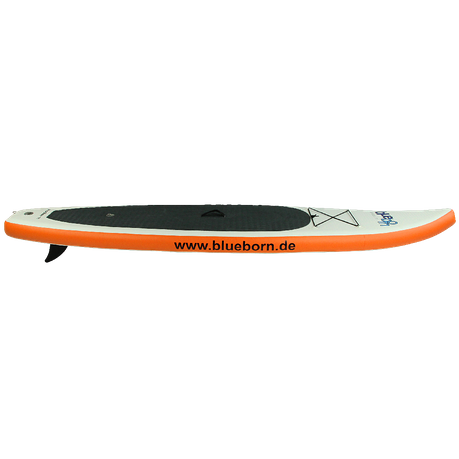 We are particularly proud of our Blueborn SUP Pro Glider 11, which is designed for a particularly high level of safety. 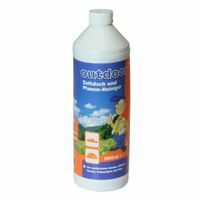 The basic prerequisite for this is the 2-chamber air system developed by us. 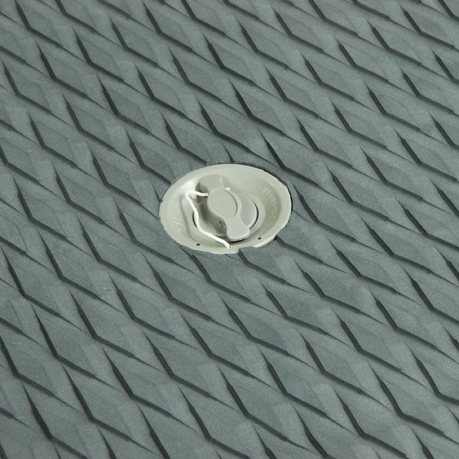 The external air chamber surrounds the internal air chamber on which you stand securely. 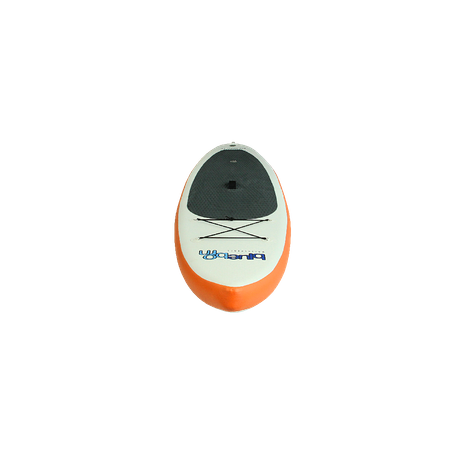 The 2-chamber system offers the safety that a water sports device must provide. 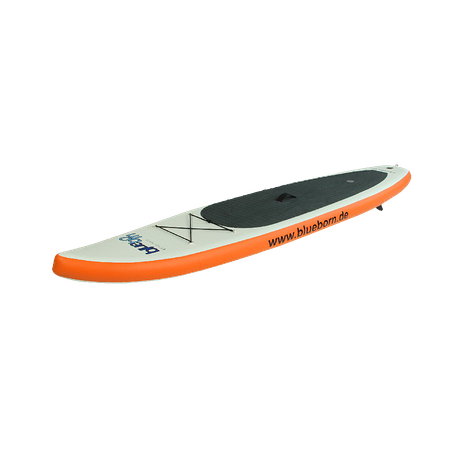 The high-quality RACE-N-TOURING SUP with removable fin was specially developed for all those who attach great importance to a low weight and a compact packing size. Also the safety is not neglected with this paddle board. This is because two independent air chambers ensure even greater safety. In addition, the high load-bearing capacity ensures a maximum user weight of approx. 120 kilograms. 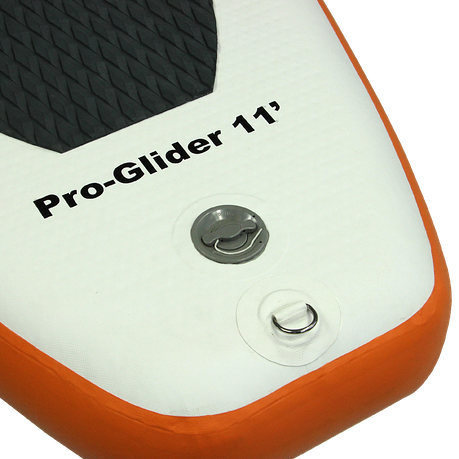 The foot pad in the middle is made of high-quality EVA foam so that you always have a firm hold on the board and do not slip. In order for you to be able to securely attach your luggage and other utensils to the boat, we have attached straps to secure your luggage. 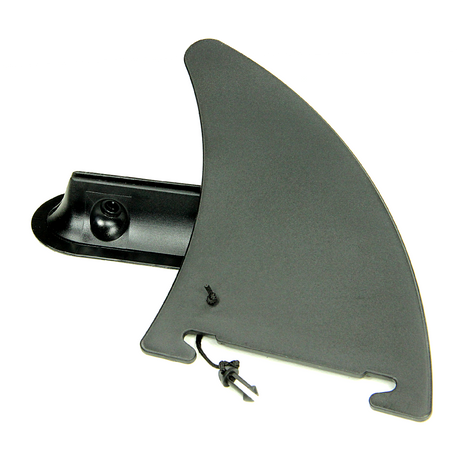 Get started right away - The paddle board comes with many accessories. Among other things, you will receive a high-pressure air pump and a manometer with which you can fill the air chambers with the appropriate pressure. This is especially important as otherwise the boat will not have the necessary stability. Too high a pressure also has a negative effect on the air chambers. If an air chamber should be defective, a repair kit is also included in the scope of delivery. 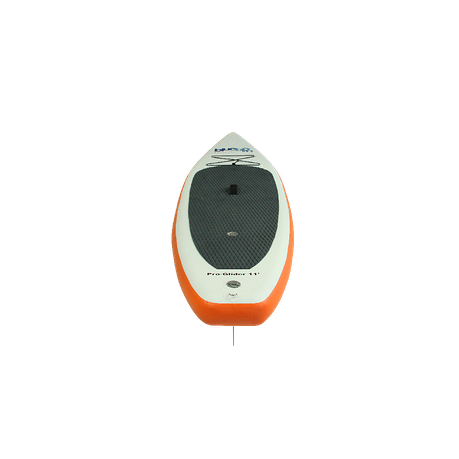 The compact boat has two high pressure valves for easy inflation and deflation. 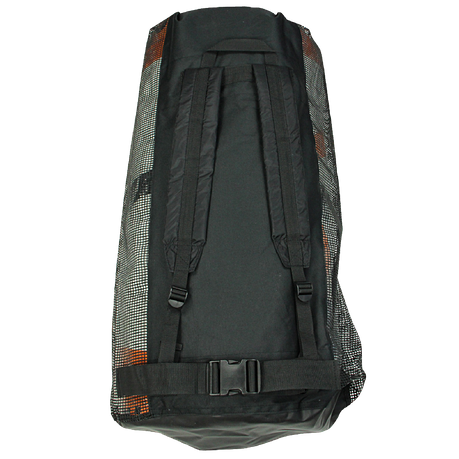 So that you can transport the Stand Up Paddle Board easily and comfortably, it is located in a practical backpack. 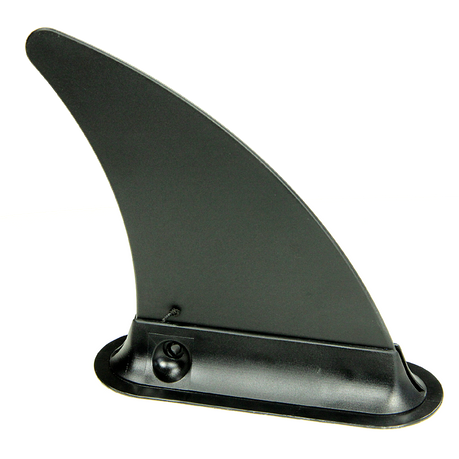 The fin, which can be removed for transport, ensures an optimal water position and good straight-line stability. 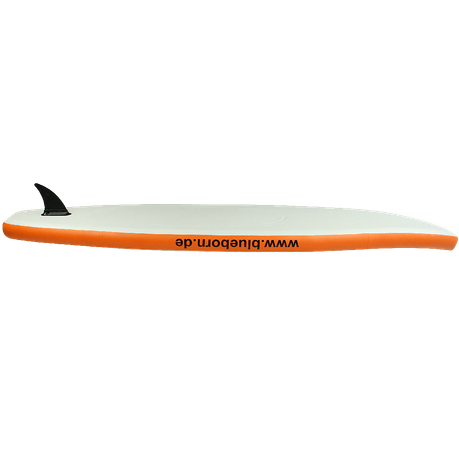 The board is so easy to manoeuvre and provides a lot of fun in the water. Driving with the SUP is not only a new water sports trend, but also an effective training for the trunk muscles. In addition to the increase in strength due to the paddle strokes, the tilted board requires the mobilisation of the deeper muscle layers, comparable to a nodding board or a workout on a vibration plate. 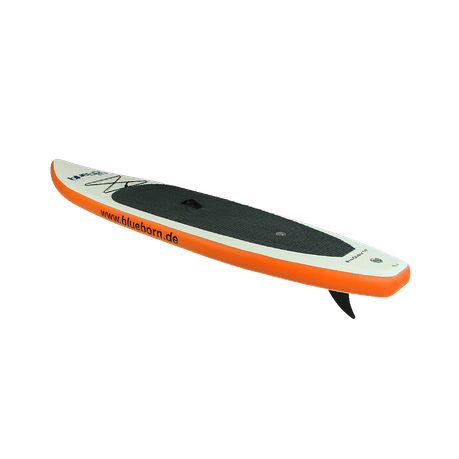 The SUP has inflated the dimensions of approximately 332x77x14 centimeters. Due to the special size it lies very calm in the water. Despite its dimensions, it has a small packing size of only approx. 89x45x25 centimetres and can be easily transported in the included packing bag. 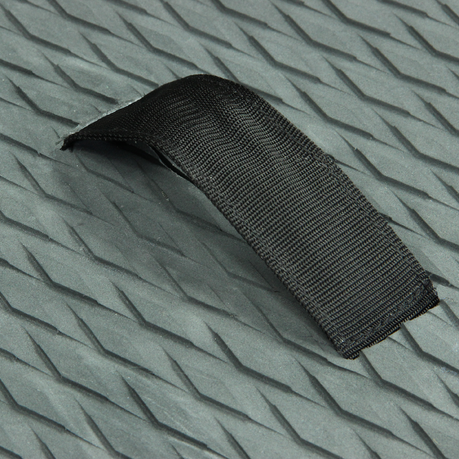 ensure that your luggage can be securely fastened to the SUP, elastic straps have been attached to the boat. This makes securing your luggage child´s play. pad The high-quality foot pad is made of EVA foam. So you always keep a firm hold under your feet, even on the wobbly board. 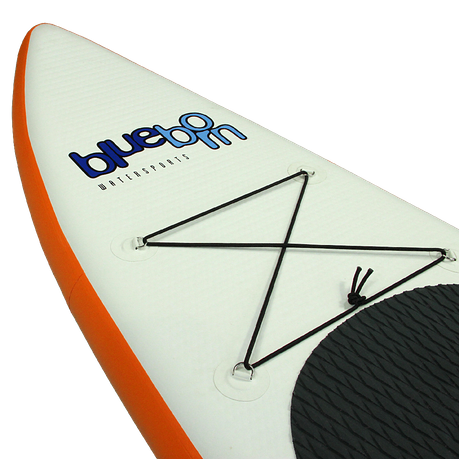 The drop stitch construction in the high pressure chamber in the bottom of the paddle board ensures that the board has a special stiffness and also carries users with up to approx. 120 kg reliably. 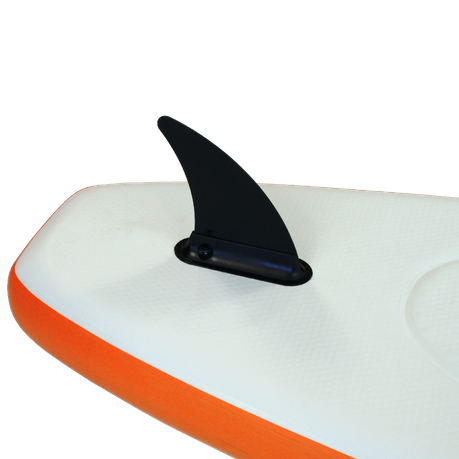 The fin on the underside of the SUPS ensures particularly good directional stability and better stability in the water. 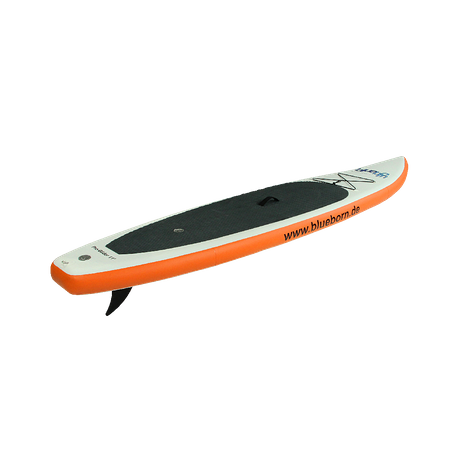 Thanks to the track stabilization, the SUP is easier to control in water. If you would like to pack the boat in a packing bag, simply take it off. delivery The Blueborn ProGlider comes with a lot of accessories. 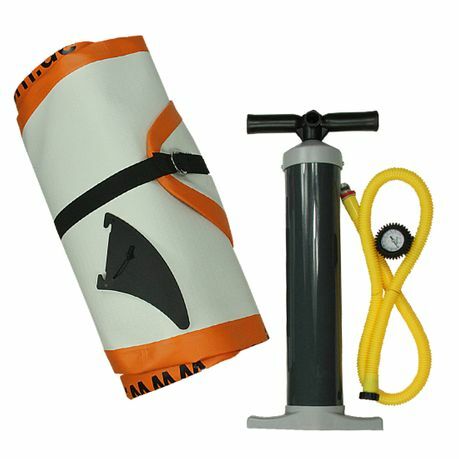 So you can inflate the paddle board and get started right away. In addition to the suitable fins, an air pump, a repair set and a manometer are also included in the scope of delivery. 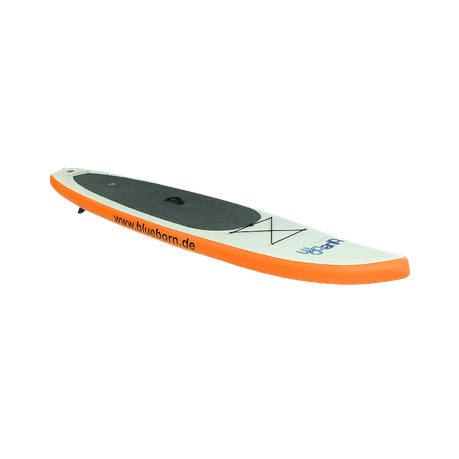 All you have to do is choose a paddle that suits you and you´re ready to go. Packed in a practical pack bag, the board with accessories measures only 89x45x25 cm and weighs only 11,8kg. It is particularly easy to transport and can be carried as a backpack.